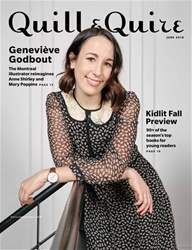 Digital Subscriptions > Quill & Quire > June 2018 > Book ’em! Is it in poor taste for an author to charge a book club an appearance fee? I recently invited a writer to my book club. She got back to me with a fee. I was shocked. This is the first I’ve heard of authors charging money to visit book clubs. To be honest, I’m inclined to rescind my invitation. After all, we bought her book. Isn’t that enough?